In 1956 Los Angeles County construction workers dumped 3 million cubic feet of highway fill at the top of the Palos Verdes Peninsula, kicking off a project designed to extend Crenshaw Boulevard. Within weeks, homeowners in the upscale Portuguese Bend neighborhood downslope from the road work began noticing cracks in their homes and driveways. The weight of the material used to extend the road had reactivated an ancient landslide, setting the land in motion at a rate of 4 inches a day. Everything in the landslide area—homes, streets, public utilities—was being carried down the side of the steep peninsula toward the Pacific Ocean. Annie Ishibashi in her popular roadside stand. The family farm sat near the base of the Portuguese Bend landslide area. By 1986 the slide had slowed to an inch or less a day. But it seemed unlikely to stop. Deep under the landslide area, a layer of slick bentonitic clay acts as a lubricant, fed by rain and runoff, causing the shale above it to slip and slide. In its first three decades the Portuguese Bend slide had been responsible for destroying 128 homes and dumping 10 million tons of mud and rock into the sea. It had also cost the city of Rancho Palos Verdes tens of millions of dollars in maintenance and repair costs. And so, in 1986, the city unveiled an ambitious plan—with a price tag of $40 million—to halt the landslide. Earth Alert, a California environmental group, hired my production company to produce a mini-documentary on the plan for its monthly cable TV program. I recently found a VHS copy of the video, which has held up fairly well considering its age. 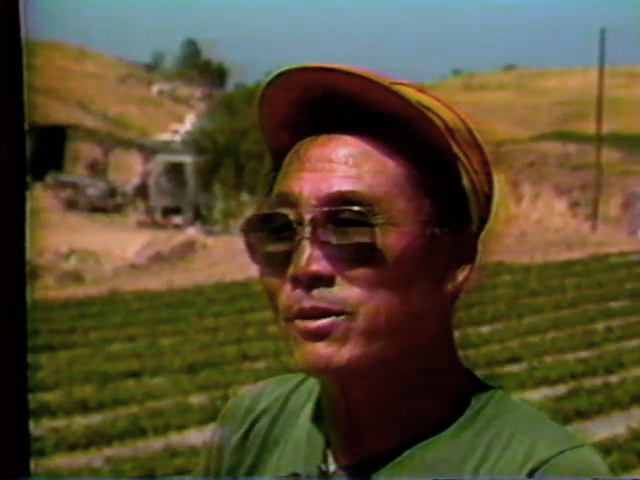 The program includes interviews with two the of peninsula’s most beloved residents, Jim and Annie Ishibashi, who operated a farm near the base of the landslide. Annie’s fruit and flower stand on Palos Verdes Drive South was popular with residents throughout the South Bay area of Los Angeles, who lined up to buy strawberries, carrots and tomatoes fresh from the field. The city proposed removing the farm’s topsoil and replacing it with hundreds of tons of earth in a bid to anchor the base of the hill and hold back the landslide. It’s not clear how far along the proposal got but the Los Angeles Times reported in 1991 that the stand was still doing brisk business. Unfortunately, the city’s efforts ultimately did little to stop the slide. A new feasibility study, approved by the city council in August 2018, would focus on some of the same measures proposed or attempted in 1986, including dewatering wells, slope stabilization and stormwater control. 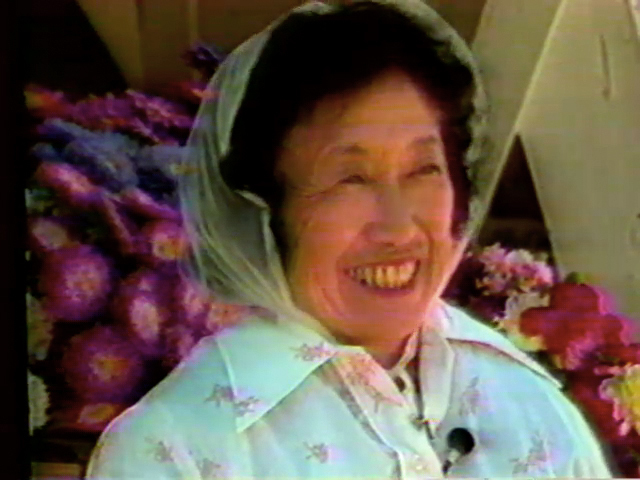 Annie Ishibashi died in February 1992; her husband Jim in February 2002.